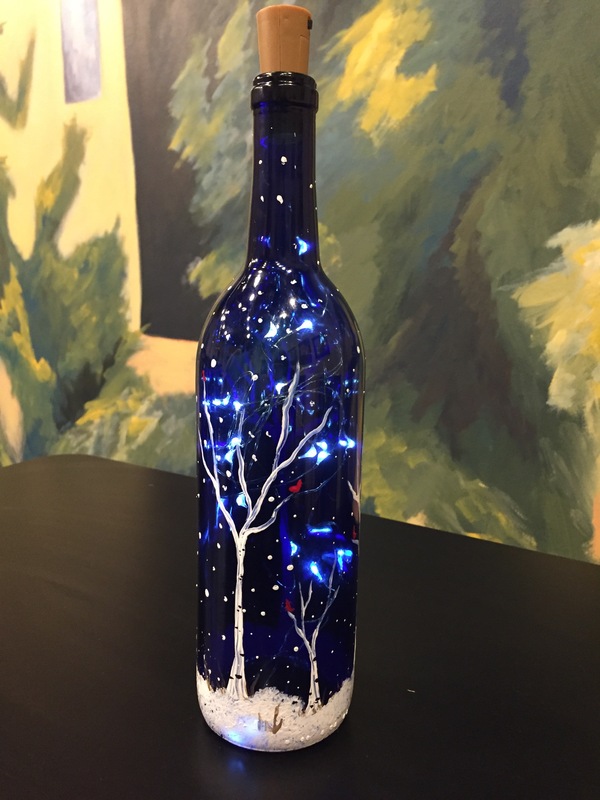 Decorative blue bottle complete with a copper strand of 10 fairly lights, cork on top had turn on/off switch and you can renew batteries! 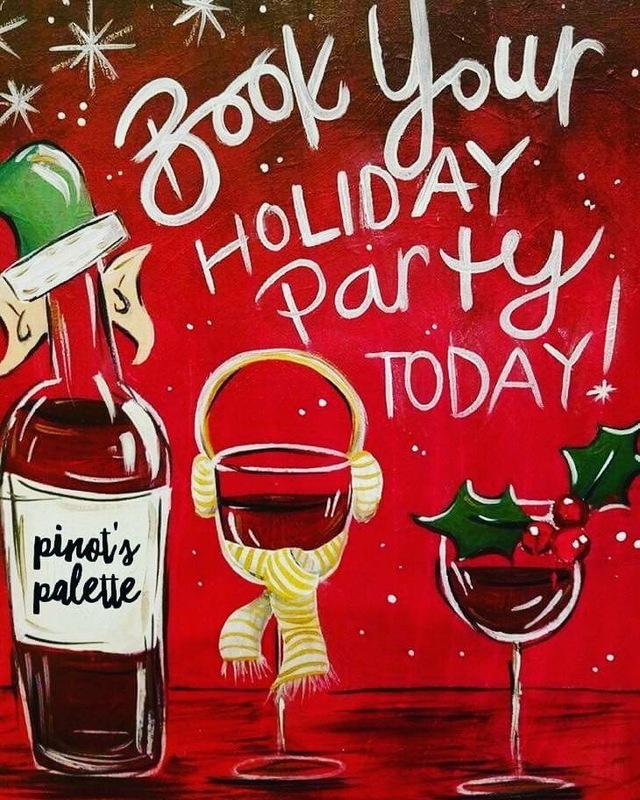 A great piece for the holidays! Our artists show you how to paint this lovely winter scene.